As time goes on, it takes more and more for me to get excited about a destination. Yes, after 18 years of constant travel, I have seen a great deal. And just like anything we do over and over again, travel has just become the norm. So, to combat this, I need to head beyond every now and then, I need to cross borders that for one reason or another, feel a little different. This was the case with Yemen and even with the Seychelles and with Kyrgyzstan. Recently, it was the case when I decided to travel to East Timor (Timor-Leste). East Timor sure is a beautiful place. Mountains, beaches, coffee plantations, lush tropical forests…check, check, check and check. East Timor also has some of the friendliest people I’ve encountered anywhere on this planet. Almost everyone we walked by or came across gave us a wide smile or an enthusiastic thumbs up or quick “hello” or “bon dia” or a handshake. There are many ‘friendly’ countries out there but this was WAY over the top. The capital city, Dili, offers grand sunsets from the waterfront, a laid-back vibe and an immediate glimpse into Timorese life. It’s not the prettiest of towns but it was real and raw. There are no ultra-fancy shopping malls or built up waterfronts designed just for tourists, that’s for sure. When we hailed taxis, not a single taxi driver tried to overcharge us. I don’t think I’ve been to any city where taxis don’t use meters yet they still offer foreigners the normal rate. Of course, the drivers almost never knew the street names, even the main avenues, but we always figured it out with some fun back and forth chatting. During our stay, we also ventured out of Dili. We took a trip, with a local guide, to the town of Gleno, set in the mountains. We drove down the coast to the tiny communities of Liquica and Maubara. We also visited museums, the famous Cristo Rei statue, beaches, markets and a variety of places to eat. And of course, we tried to interact with people wherever we went. And to top it off, we didn’t see any other tourists during our stay. Yes, when you travel to East Timor, it can indeed be fascinating. This is where tourism gets confusing. Sure, I could say ‘travel to East Timor, it’s great, everyone should visit!’. But I wouldn’t mean that in the usual way. Despite the fact that we did have a good time, that we did meet some wonderfully friendly people, the truth is that going to this country without an interest in digging deeper, without an interest in venturing beyond the beaches, mountains and sunsets, would be a real injustice to the people that call East Timor home. As travelers, we tend to avoid this deeper digging. We tend to be quite satisfied labeling destinations based only on our limited experiences and what our eyes, or camera lenses, see. If we’re honest, we’ll admit that it is our pure lack of interest that prevents us from learning what life is really like in a place. We just don’t care enough to learn about the reality behind the sights and food and cafes and cool activities. Usually, we just want to have a good time and leave it at that. When it comes to East Timor though, I found that it wasn’t possible to just leave it at that. Alongside those sunsets and lush mountains were towns and villages full of people without any work. Over 40% of the Timorese population survives (or tries to) on less than $1 USD per day. 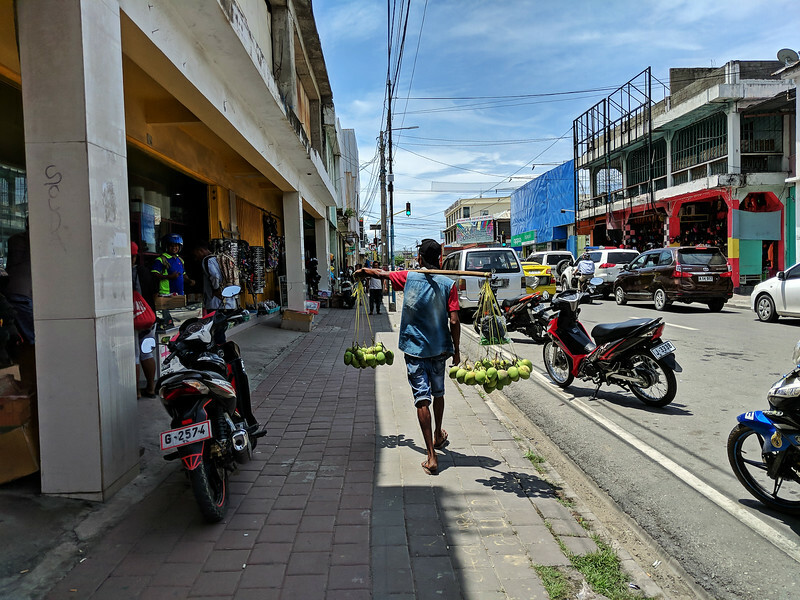 Everywhere we went around Dili and its surroundings we saw and learned about massive, yet failed, projects – failed resorts, failed harbors, failed attractions, failed development schemes – that are now sitting ‘temporarily’ abandoned, billions upon billions of dollars possibly having been wasted. 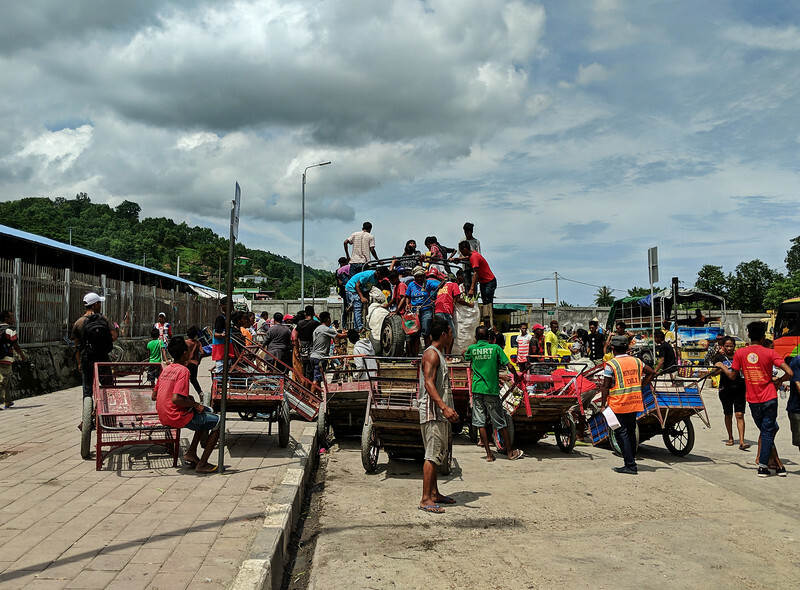 All the while, in comparison, the rural communities supposedly receive little attention or assistance, there are slums around Dili without any electricity or sanitation and things such as healthcare and education don’t seem to be high up on the agenda. Locals we spoke with pointed out that the population is being neglected while the government pins its hopes, and the economy, on large-scale, quick-fix solutions that rarely seem to work out. The infrastructure is poor at best, trash is piling up, too. Believe me, that stunning white sand beach in the photo at the top of this post has its fair share of plastic bottles scattered all over it. Markets were full of stalls yet barely any shoppers. Everywhere you went people were just hanging around with nothing else to do. This is East Timor, too. With a history that involves Portuguese rule starting in 1702, Indonesian occupation from 1975 – 1999, brutal massacres and starvation thrown in, as well as literally being far removed from the rest of the world, it’s understandable that this relatively new country is struggling to get on its feet. It’s only been fully independent since 2002. Spending an hour in the Timorese Resistance Archive and Museum (their website is quite barebones) is enough to leave anyone overwhelmed with grief at what the people of this country have had to endure. It’s not pretty. Also, the population of just over 1 million people speak a couple of dozen different languages. I imagine it’s quite difficult to create a strong sense of unity or a real identity to build upon when everyone isn’t on the same page in terms of general communication. Imagine walking through your capital city. One sign is in Portuguese, the next in Tetum, the next in English and then there’s one in Bahasa Indonesia. Now imagine that you can only speak one, maybe two of those languages, at best. I only met one person, who had the good fortune to be educated in Portugal, that spoke all of the main languages above. There are 14 languages with at least 10,000 speakers and while Portuguese is one of two national languages (the other is Tetum), it’s the first language of only 600 people. It was tough to see so many people struggling in this current situation. A great deal of work needs to be done for it all to improve, however, most Timorese I met were not too hopeful. Anyway, this is not a political post. I wanted to travel to East Timor, I went and this post is the first result. So, I’ll now say this. What really is fascinating in this country is not the beaches or mountains or colorful fish swimming around the reefs. 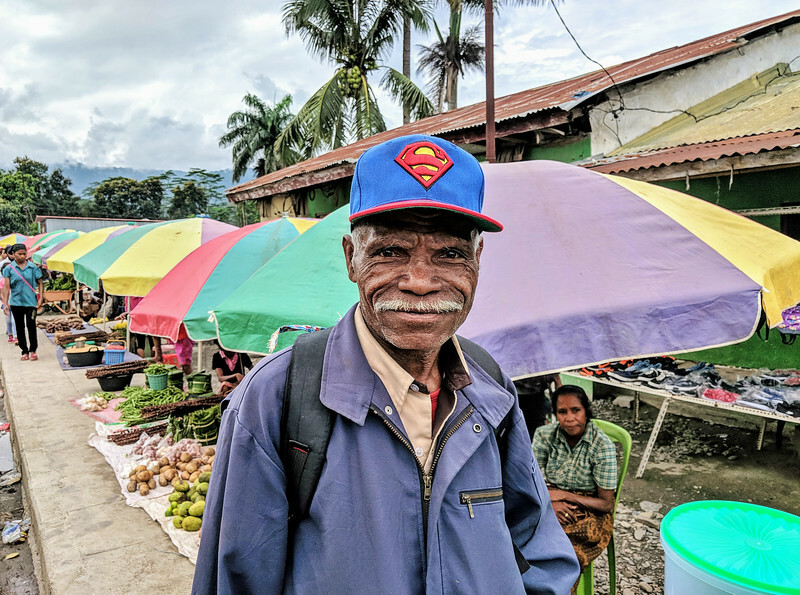 It’s the fact that despite all of the above, somehow, almost everyone we met showered us with those beaming Timorese smiles and enthusiastic thumbs up that I will never forget. I can barely crack a smile when I feel a little tired or I need to spend an hour sending emails. Quite pathetic when I think about it, I know. The word ‘amazing’ is quite overused these days but I really don’t hesitate for a moment to use it in order to describe the kindness and warmth we experienced as we wandered around. I’ll end the post with this. Go and travel to East Timor. Really. Enjoy the beaches and mountains and snorkeling and markets and all that. Buy the handmade crafts. They are colorful and impressive and they cost so little. The people need it. They need the money, the jobs, the infrastructure and perhaps even more importantly, they need the awareness of their story. The only way to help with that last part is to remember that, wherever you venture in this country, the people all around you have gone through quite an ordeal and are struggling more than you could possibly imagine. So be sure to smile back, give a thumbs up, too, introduce yourself and get to know as many people as you can. They are wildly friendly and they would love to interact with you, in whatever combination of languages you can. 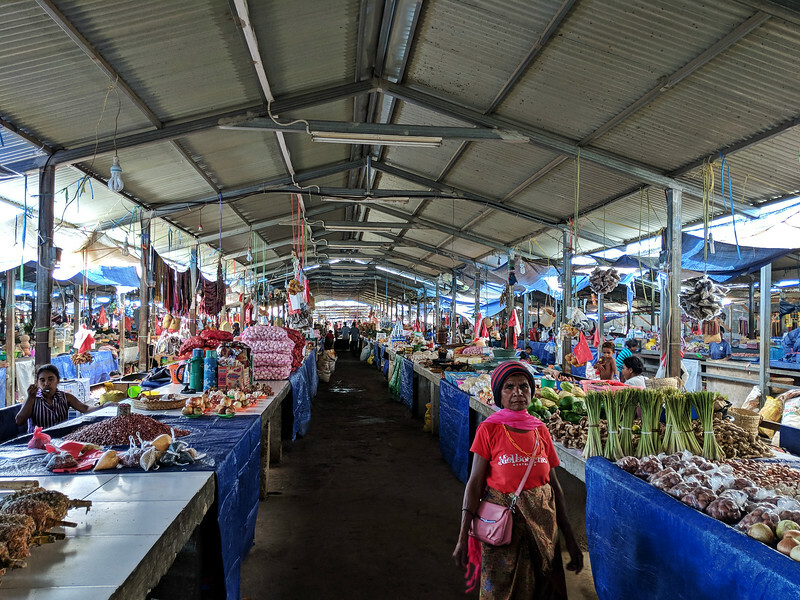 Believe me, it’s these interactions, and what you will learn from them, that will turn your trip to East Timor into a trip like no other. Digging deeper is the key and it should be on every traveler’s itinerary. Have you ever thought about traveling to East Timor? Any questions? Really helpful post. I am planning to visit Timor. Can you please give an idea of average expense for 1 week trip? And your preferred places to visit ? Hey David – It’s still worth a visit. Apart from scuba diving, I’d recommend hiring a driver to take you into the interior mountains, to towns and villages that few foreigners reach. It’s a chance to really interact with people who are quite isolated from the rest of the world and to learn about their traditions and culture first hand. And Citilink, the airline I flew with, is apparently one of the fastest growing airlines in the world. Either way, it’s a very short flight! I loved reading your post. Its so amazing how you went beyond what the place had to offer you. You understood the people, their situations, the political and economic scenario. 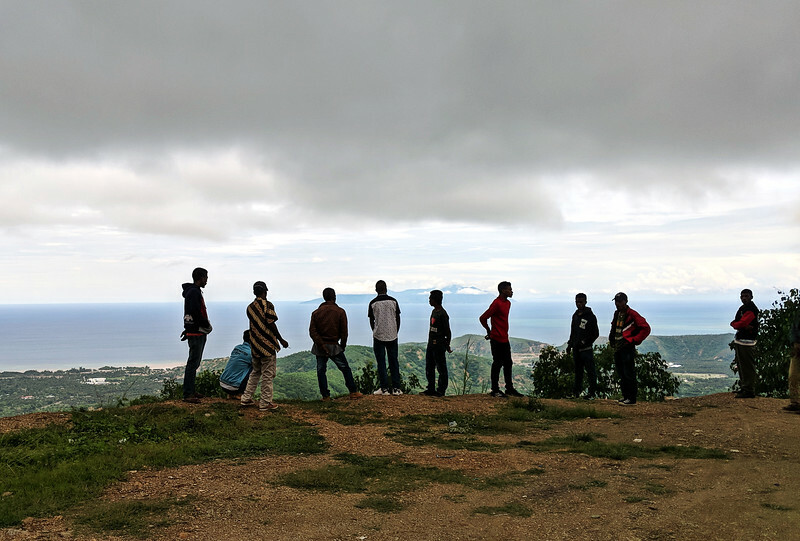 With taking back good memories of East Timor, you gave them a chance to be heard. Good work man! I will definitely visit this place. Hi I really enjoyed this post. My family of four has the opportunity to live in Timor Leste for a year for my husband’s work. We have two children ages 10 and 13. My 10 year old is really excited and wants to go. My daughter 13 is totally against the idea. She doesn’t want to leave school and friends for a year. I’m so excited for the chance to live and experience someplace new, but also scared of the language differences and just living in a different country. Any advice? Thanks so much!!! Hey Veronica – Thanks for commenting and that should be an interesting place to be posted and to live. I could see how it would be a challenge so you definitely want to be prepared to be in a completely different environment. There’s nothing about it that will resemble life at home for the most part. With language, learning some Portuguese and local language will probably be needed for a longer term stay, but I think the biggest challenge will just be living in place that doesn’t have the modern facilities or what you may need to live a lifestyle similar to what you may enjoy right now. So true! I went to East Timor back in 2008 (or was it 2007? A long time ago, anyway!) and you’re so right – the people are incredibly friendly. I went with a friend who had been living there for a while and spoke fluent Tetun which was of course very helpful. Atauro Island is a great spot to pass a day or two. Is the country still expensive? I remember being shocked by how much things cost. 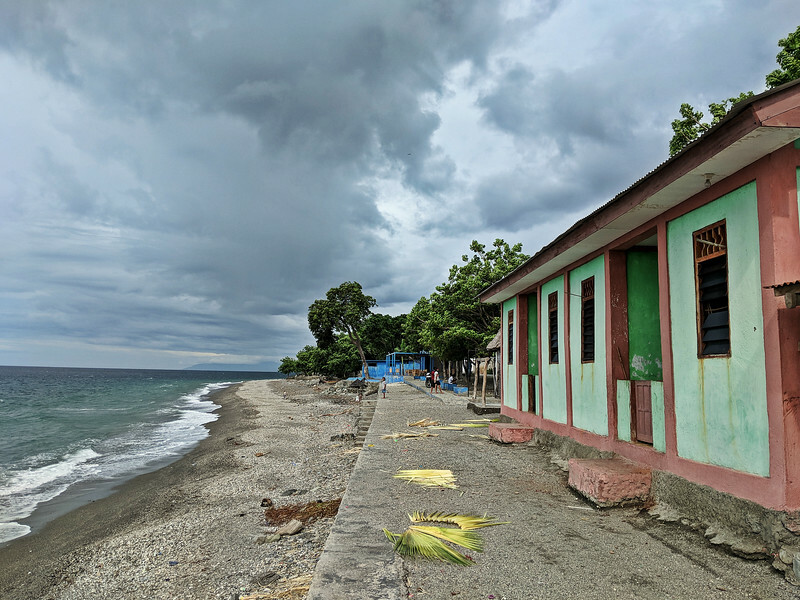 Hey Mack – For snorkeling, I believe there are some opportunities off the beach behind the Cristo del Rei statue and then there is also decent snorkeling about 20 kms west of Dili. There weren’t any signs but the guide we had just pulled off into a small dirt area right along the coast and I went in snorkeling right there. Or you can always take a day trip to Atauro Island where the reefs are supposedly even healthier and the snorkeling is excellent! Hows it going? I recall when we met in that house party in Bali, we discussed visiting East Timor. So cool to see you made it there and sharing your humble experience. I can’t believe people live at less than $1 a day there – sounds like how much people below the poverty line in India have 🙁 Its heart warming for sure. Hows Bali treating ya? Still there? Whats the next destination? Hey Jo – All is well! We actually left Bali right after East Timor and haven’t been back – Malaysia, Sri Lanka, India, Australia, New Zealand and the US since! Right now in Romania and off to Morocco in a couple of weeks. Hope you guys are doing well and that we run into each other somewhere else! East Timor is one of the places I want to visit soon. I loved your adventures, Earl. Thank you for sharing your wonderful stories as always. Nice read! Seems like you’ve witnessed Timor quite closely. Thanks for sharing! Wow! How come I wasn’t aware how beautiful and stunning East Timor is?! Your post and pictures were really eye-opening, Derek! How many days would be enough to explore this place? Hey Agness – I would say 7-10 days would be a good amount of time to explore the country! I really like your post Earl! I have heard about East-Timor especially in connection with their struggle for independence, and I’m pleased they got it in the end. It’s not an easy place to get to, but I hear that the train journey (now) is a story worth telling! Thanks for this excellent post on Timor Leste. After being involved in fund raising for a Kindy in Dili, I been lucky to visit TL twice. My first visit was before international peacekeepers left, then more recently last year. Many differences during these two visits some positive but some not. Timor’s people, especially the women, are so brave and passionate about their country & keen to built a bright future for their children. In a country that still bears the scars of so much violence, they display a strong sense of friendship & trust. 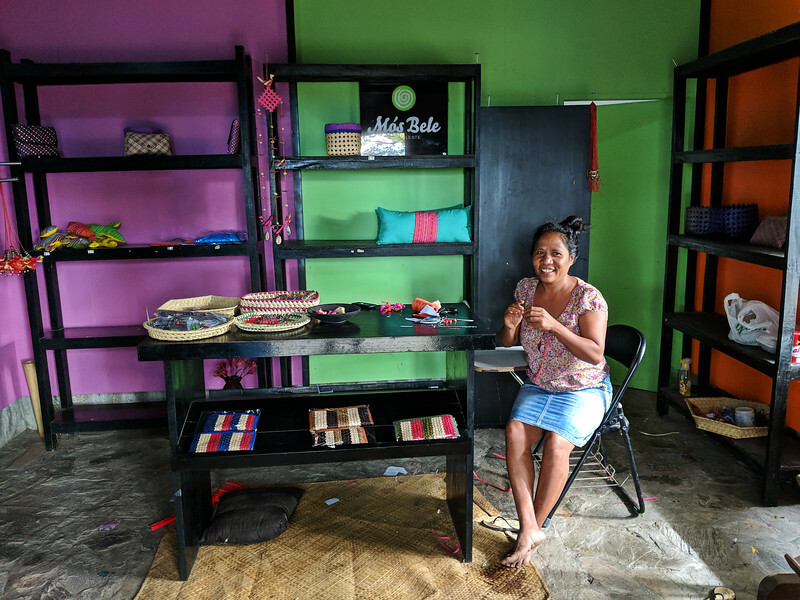 As your post highlights, tourism in Timor Leste can be a challenge but a must for travellers who want to make a difference. Yes, been wanting to visit there for a while now. Hopefully one day. Hello Earl, so enjoyed reading your post. I’m keen to visit East Timor one day, it’s so close to where I live, In Sydney… yet a world away in terms of health, wealth etc I remember so well when the film of the 1991 (I think) massacre in the cemetery was smuggled out and have followed the news about East Timor since, just read a book on the oil negotiations which made my blood boil. Hey Seana – Yeah, from what I learned about the oil negotiations and current situation, it’s not positive at all. And to hear locals talk about it with such frustration, that was definitely not a good sign. Mobys hotel has hostel rooms…. Hey James – Great to hear from someone else who is actually spending significant time there. And that’s good to hear about the food as well. I had heard some other stories from a friend of a friend that lived there for a while and was warned to be quite careful with food but seems like that has changed a bit now. Thanks for sharing your experiences! If I do make it back there, I will definitely let me know. I’m from East Timor, I was born just before the Indonesian invasion and lived overseas, in Portugal then mainly in Australia for most of my life. I returned to my homeland in the year 200. I finished reading your post with a smile and tears … Thank you. Have shared it on my Facebook account … Happy Travels. Thanks for sharing the beauty of my people and my homeland. Hey Danilo – I can tell you that writing about the beauty of your people was easy since it was shown to me all day, every day of my visit. It really was something special. And it’s great to read a comment here from someone that is from East Timor so I appreciate you taking the time to share some words. I certainly wish you only the best ahead and the same for all Timorese. Hi Derek, I wish I knew you were here! I have been in Timor for the past 6+ years and it would have been great to meet in person. Thanks for covering Timor so sensitively. Hey Todd – Oh man, I had no idea!! It would have been excellent to meet up, especially over there. I’m going to send you an email as I’m curious what you’re working on over there. Been there in September 2017, and the hill was dry. Seeing that green makes me want to revisit. Btw, it’s Christo Rei, isn’t? Both are beautiful though. Hey Relinda – Can’t imagine what it looks like dry! And it’s actually Cristo Rei as it’s Portuguese. Great post Derek! We’ve been wanting to go there for a while. Really nice to hear a real perspective on it. Hoping to make it there this year and volunteer with a medical clinic we’ve heard about. Looking forward to your next post on it! Hey AJ – Definitely let me know if you do make it this year! I’m sure you’ll get an even greater insight by volunteering over there. Hey Earl, It appears you’re seeing places off the beaten path lately. Nice. I follow some of the major travel websites that report the “trending” places for 2018 tourism, just so I can be sure NOT to go to them. After a couple months in Vietnam last year, along with a few other South East Asia nations; tourism is really taking off. There is a huge middle class of Chinese now that are chomping at the bit to get out and see the world! I couldn’t believe the crowds at the Angkor ruins in Cambodia ether! I look forward to your posts on places that almost nobody visits. East Timor has never been on my list. Thanks for giving us a peek where there are no other tourists. I’m now getting organized to take off and spend the next three months in the Philippines. I can’t remember if you’ve been there and have done a blog about it. Have you been to the island of Palawan? Thanks again for taking us to out of the way places around the world. Hey Steve – Yeah, the tourism scene around the world is definitely changing rapidly. With the Philippines, it’s a great place because you do have the more popular islands (Palawan and Boracay, for example) but you also have many great and lesser known islands too, such as Siquijor, Bantayan and so on. I have not been to Palawan, but been to about 6 or 7 other islands in the Philippines. Enjoy your stay over there!! I’ve never thought of traveling here until your this excellent blog post. My favorite part of your blogs is how you focus on the actual people who live in these areas which is something that we as travelers often unfortunately overlook. I’ve found that photographing people is a good window into the reality and actual livelihood of the places we visit as tourists. What do you find is the best method in snapping pictures of strangers? Do you explain to them your blog and what the purpose is or simply snap away? Thanks as always for sharing your journeys with us. Hey Eric – Thanks for reading! And especially in East Timor, at least the males, were not shy at all about having their photos taken. After a few minutes of chatting, they were more than happy to do it and in most cases, they pulled out their simple phones and took photos of us too. I think the best method is always to forget about the photos and just start chatting with people. Usually, after a few minutes of chatting, when things get more comfortable, then you can pull out the phone or camera and ask politely. I generally have my phone (which I use as my camera these days) in my pocket at all times and only pull it out once I’ve been engaged in conversation or some kind of interaction for a few minutes or so. 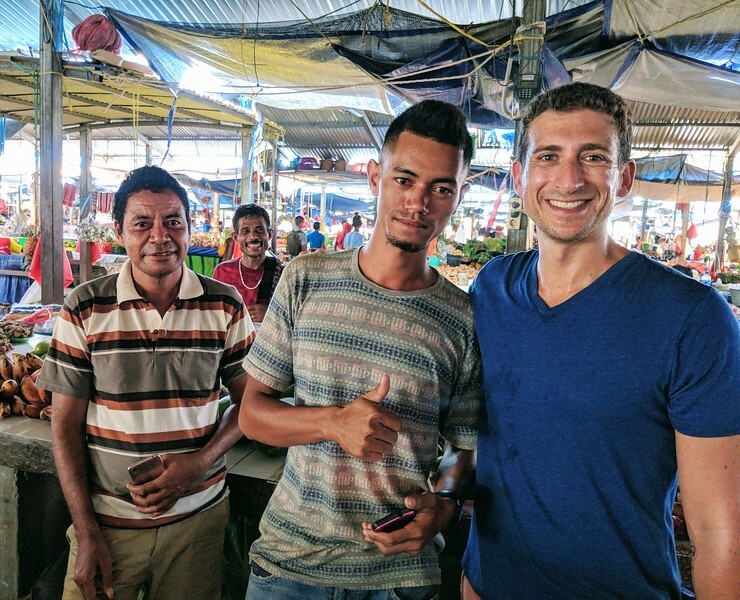 I never explain about the blog or the purpose though because in most cases, for example, in East Timor, they wouldn’t have understood and I wouldn’t have been able to explain it well given the language barrier. But I find that anywhere in the world, most people are fine having their photo taken, especially after you get to know them a little. Thanks for the response Derek. I’ll keep the engaging aspect in mind next time we travel. Keep up the excellent work! Hey Stephen – I wish I had time for West Timor! One day we’ll each do the other half! Derek, I enjoyed your article on East Timor and have considered visiting in the past. I’ve traveled quite a bit in Southeast Asia and wondering the approximate cost to travel in East Timor. I would most likely be traveling solo and used to backpacking through Asia. Hey Paul – I’ll actually be writing my next post all about the logistics involved with traveling here, where to stay, how much it costs and so on. But in general, on the very low end (staying in the one hostel in Dili, taking local transportation, eating at local eateries, etc. ), you could get by with about $40 USD per day I’d say. 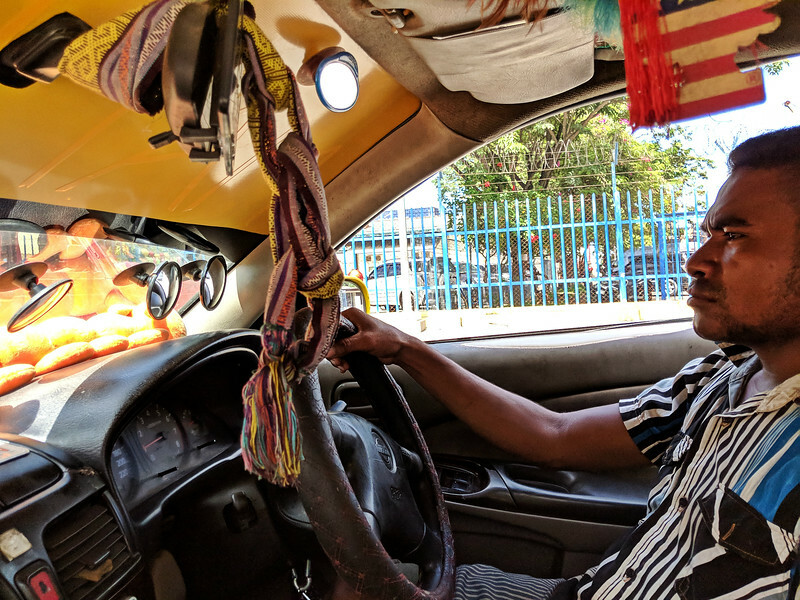 But more realistically, for a more comfortable stay and eating at places that don’t have a chance of getting you sick, you’re looking at closer to $80 – $100 USD per day. Definitely more expensive than most of Asia but they do have to import basically everything and then there’s limited options for good quality things (rooms, food, etc.) so it drives the prices up. didn’t you mention that 40% live on $1 U.S. dollar a day??? (or less).. why does it cost $40 to$100 a day for a traveler? you usually stay and eat where the locals do.. just curious.. it doesn’t sound like there is a tourist zone – thats alwayes pricey..
Hey Steve – This is common in underdeveloped countries. Basically, for many things, there aren’t any ‘local’ versions. The first case is with accommodation. Since people don’t have money, they don’t travel around the country and so there aren’t local hotels. The hotels are there for NGO workers and business people. And so, for a hotel to get standard things such as constant electricity, decent beds, hot water systems and so on, it all costs a lot of money since it all needs to be imported or it is expensive (which is why many locals don’t have regular electricity). Then with food…locals don’t eat out much since they don’t earn enough to eat out. So your choices are either a handful of very basic food places (without proper hygiene and which will probably get you ill) or eateries that are designed for those with more money. And again, to get proper food, constant electricity to store the food, supplies to maintain a clean restaurant and so on, it all costs a lot of money. So that’s how it ends up costing a lot overall…there is no ‘local’ version of many things or if there is, such as the case with food, it’s not a good idea to try it. So you’ll need to shell out more money as a traveler since there isn’t a more local way of doing things. Enjoyed this post a lot!! I just loved to read this post from beginning to end. That’s why I have always followed your website: the way you talk about this places is more deep than just photos and travel advice. It’s so important to make people who travel aware about where they are and what is life like for who lives there. Thank you for this post that has already given me curiosity about this small country and desire to know more about it. Wish you all the best, J. Hey Traveler J – Thanks for that comment and I agree with you fully. It is important to go beyond and to understand more about a destination because that’s how we really learn about the world. There is always so many more layers to a destination than what we see with our eyes as tourists! And I’m glad you are curious about East Timor now…I really hope you make it one day! What a great post. I have never considered East Timor because I remember hearing about the political instability and violence. Must be 20 years ago I’d guess. Sounds like things are not violent, or dangerous now. I’d love to visit and support the local economy and people. Perhaps add it to a trip to Australia I hope to take in September. Thanks for the post and promoting what sounds like a wonderful place with wonderful people. Hey Cheryl – It’s an easy place to reach from Darwin, Australia, with a couple of flights per day. It’s definitely not a violent place today so if you can, try to make it! Well done getting there one of Asias most obscure countries! East Timor actually has an exclave surrounded by Indonesia too further along Timor island. I think I’ll settle for Brunei and Indonesia this year or Georgia and/or Armenia on the Asia front and pencil in East Timor for further on in the future. Hey Kevan – Exactly, they do have that enclave too. Didn’t make it there though. Brunei is interesting as well and Georgia/Armenia are both high on my list. We were just looking at Georgia the other day and the more I read about it, the more I want to get there! Perhaps I shall see you there! I think I may visit someday. I just moved to Brunei which is in the same part of the world. I met another teacher who is starting the same teaching gig I am and he just came from teaching in East Timor. He had a funny story of some of the local boys breaking into his apartment everyday. They weren’t really stealing stuff from what he says, just chilling out (literally, hanging out and using his A/C) He would notice little things different and wonder if he’d done it or not. He said he realized for sure because there was a bite out of some cheese or an apple or something in the fridge. Anyway his stories and your post make me want to check it out one of these days. If you ever are passing through Brunei hit me up for a coffee or dinner. Hey Trevor – That should be interesting living in Brunei for a bit. I only visited for a few days back in 2016. But the story you tell is classic. Seems like they were just trying to get a little comfort, no harm intended at all, which I could see happening. Now you’re pretty close, so hopefully you’ll get to check it out for yourself at some point. Enjoy Brunei for now though!